Israeli Made Magazine Strip Loader For .223/.556 AR15 Rifles - Load your AR-15 Magazines Quick! 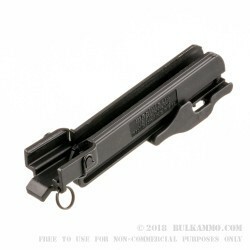 Looking for a great Israeli Made Strip loader for your AR-15 Magazines? Buy these speedloaders today!! They're priced right and they work amazingly well. Your thumbs will be sure to thank you for buying this awesome stip mag loader. Ammo and customer service . I use them. Fast reload. Cheaper then having 20 mags. They are plastic so I'm sure how long they will last. Excellent buy, very good devices if you are in a hurry to load/reload your magizines. A: Hello! This magloader will work with any magazine that is designed to accept stripper clips including the Magpul Pmags. A: Hello! These mag loaders are all made by MagLula. Q: Does it load 30 rounds at a time? A: Hello Nick! The Strip Lula is designed to load 10 rounds at a time. It will load 10 rounds that are on a stripper clip or 10 loose rounds. Q: Will this work with Magpul magazines? A: Hello Georges! 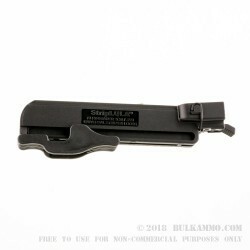 The strip lula is designed for all metal and plastic magazines including the polymer Pmags!